I’m pretty pepped about starting my new series here on the blog! 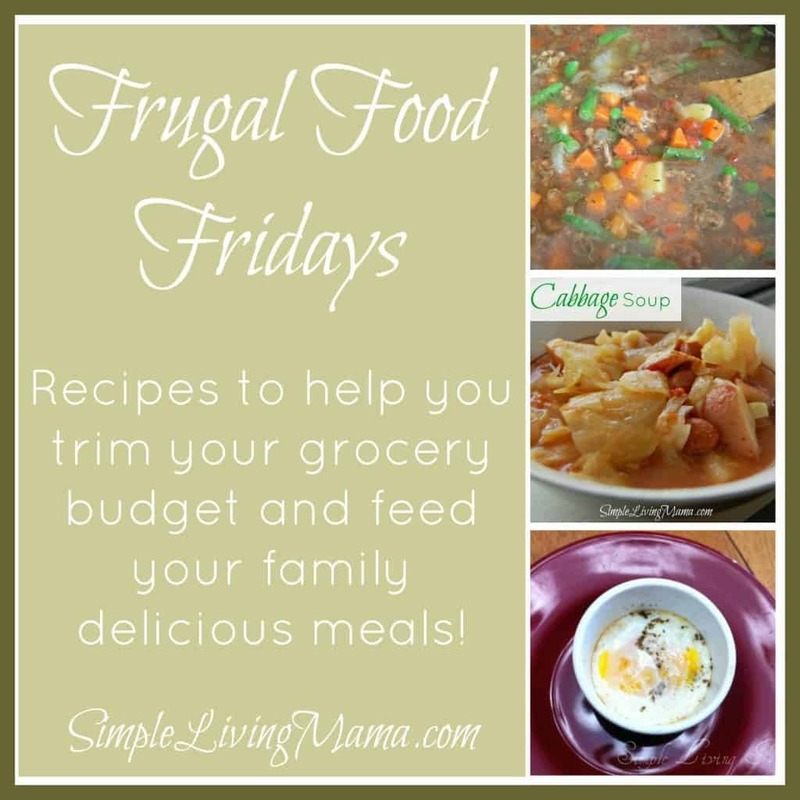 Frugal Food Fridays is designed to help you feed your family delicious meals on a budget. Be on the lookout for new recipes every Friday! 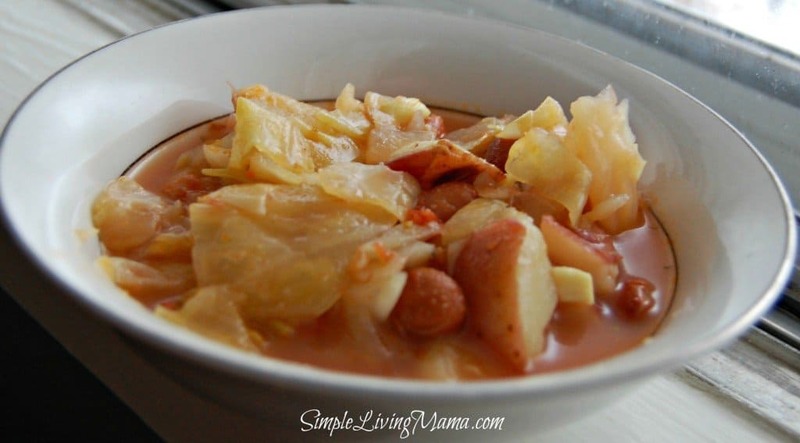 The first recipe I want to share with you is my country cabbage soup. It’s an extremely easy and economical recipe. It’s also very versatile. When it’s cold outside I want soup and I’ve learned from my mom how to make very good soup! One of my favorite vegetables is cabbage. It’s cheap, yummy, and can be used in a variety of ways. If you have leftover cabbage, make cabbage soup! If you have a head of cabbage that you just want to turn into something yummy, make soup! This recipe whips up quickly. I let mine simmer about an hour. Remember, the longer it simmers, the more flavorful it gets! A hearty winter soup where cabbage shines. Simple and delicious. 1 can of beans, drained and rinsed - white beans are great in this soup. I used pinto beans because that's what I had. Salt, pepper, any additional seasonings. I use oregano and celery salt. Heat olive oil in a soup pot. Add chopped red potatoes and let cook until they begin to brown. Add in onion and garlic and cook a few minutes until they begin to soften. Add cabbage. Pour in chicken stock, beans, tomatoes, and seasonings. Bring to a boil and allow to simmer for at least 30 minutes. Taste, adjust seasonings. Top with shredded parmesan cheese when serving. You can add bacon for an extra crunch! Come back every Friday for more frugal recipes! This soup sounds yummy. I’m not much for eating soup, but I’ve always liked cabbage soup. Now I wish I had a cabbage in my fridge. I love cabbage and cabbage soup! I hope you like this recipe if you try it sometime! What’s better than cabbage? Cabbage with potatoes!! 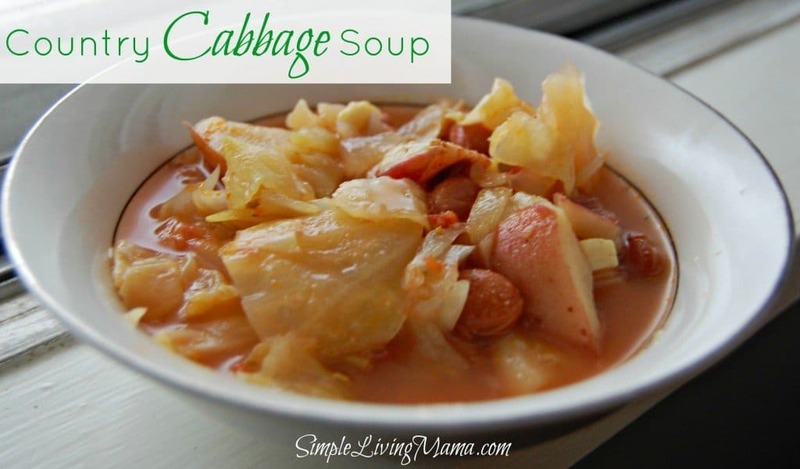 This is a great cabbage/potato soup recipe. I added lots more seasonings such as white pepper (1/2 teaspoon), Italian (2 tablespoons), and Dill Weed (1 tablespoon). Delicious!! Thank you!